The trail, which is marked by signs bearing distinctive blue and white bands, is divided into ten sections. Along the way, information panels describe the history of the baronial estate and the changes it has undergone over the years, explore the region’s rich heritage, and highlight the links between past and present. The accompanying website contains additional background material and also acts as a guide. 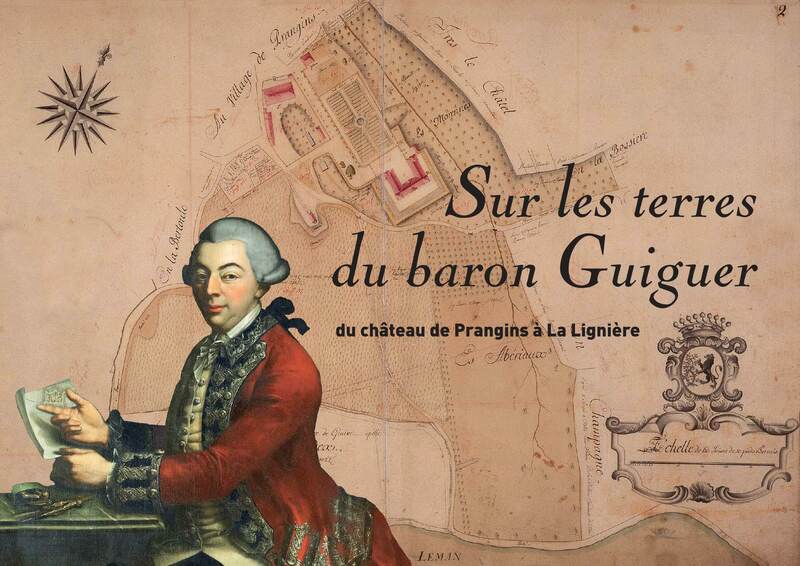 On its route through the communes of Prangins and Gland, the trail retraces the footsteps of Baron Louis-François Guiguer (1741–1786), who would make the rounds of his property almost every day accompanied by his estate manager, his wife and friends and, sometimes, his young son, supervising every detail of day-to-day operations. The baronial estate covered a number of villages, including Prangins, Gland and Vich. In the 18th century it was one of the largest of its kind in the Vaud region. This history trail is a chance to explore the former baronial estate and learn more about its story up to the present day.